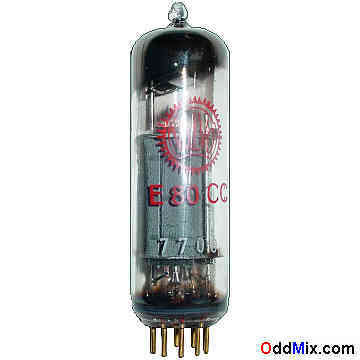 This is a genuine, vintage, rare, historical, high reliability type Valvo SQ E80CC High-Mu Twin Triode Electron Tube. Nearest good (pin for pin) subtitute is the 6085. This 10,000 hours certified, high reliability, shock and vibration resistant industrial tube is designed for DC and AF [Audio Frequency] amplifier use. Typically used as phase inverter or resistance-coupled amplifier in sound electronic amplifiers, instruments and equipments. Excellent replacement part for instruments and restoration projects or to set up a private vacuum tube museum. It is NOS tube - New Old Stock, unused, boxed, and kept in excellent condition. First come first serve. Only one available!